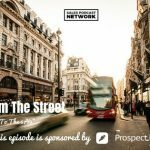 TSE 939: Sales From The Street: "Ditch The Funnel"
The traditional funnel works in a lot of industries for many sellers. It’s always true, though, that no single industry is exactly the same. In some cases, sellers have to find a different way to operate. Jereshia Hawk had to ditch the funnel. 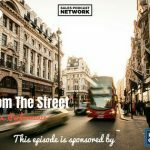 Today on Sales From The Street, Jereshia Hawk shares how she shifted her mindset from exchanging time for money to helping people find a solution to their problems. Jereshia calls herself a corporate dropout, having left a job as a pipeline engineer to become an online income strategies coach and consultant. She teaches a simple way to sell services online. Jereshia left a large corporate pipeline project because she wanted women of color to have a voice at the business table. She believed that entrepreneurship was an economic equalizer, but she compared her early efforts to “throwing spaghetti at the wall” to see what might work. She launched two coaching programs at ridiculously cheap prices and then doubled the price every time she sold it. When she reached the point where no one bought it, she was heartbroken. She called it a new concept that people would pay her for something that wasn’t tangible. It was a foreign concept that people would pay for intellectual property. She didn’t understand the value exchange and how to adequately price for the value and transformation she was providing. Jereshia forced herself to decide whether this was simply a hobby or something that she was truly going to invest in. She decided to develop a recipe; to implement a strategy that would help her find future success. She realized she was struggling with imposter syndrome. Jereshia didn’t believe she was qualified to charge money for a service, and she also didn’t believe that people would actually pay her for it. She realized that she had to shift her mindset. Until she shifted her mindset, she was trying to sell everything under the sun. She mimicked the things that helped other entrepreneurs be successful. She had opt-ins, membership sites, digital products, trip wires, upsells and all kinds of content. Then she realized that there had to be a simpler way. She realized the funnel wasn’t working for her. She flipped the funnel, and instead of focusing on finding a bunch of leads and coaxing them through a funnel process, she worked to solve a single problem well. Jereshia worked to solve a problem that people needed help with at a higher price point. In a traditional funnel, you warm up your audience. Jereshia wanted to simply figure out how to sell something consistently. The best way to do that, she realized, was to focus on one core offer and learn to sell that really, really well. She focused on solving just one problem. Then, she picked just one person in her target market, picked one problem to solve, and packaged a single process that became her signature service. That’s when the game changed for her. After she changed her process, she got an offer of $9,000, where before she hadn’t been able to sell a $900 offer. Over a six-month period, she grew her offer to $9,000, and six people bought it. She offered a six-month mastermind teaching business owners to break through the six-figure mark. Jereshia booked more than $60,000 in sales in one month, and that created the cash cushion that allowed her to quit her job. She created a process involving basic sales psychology and the three core stages of awareness. Once they develop awareness and realize they have a problem, they begin searching for a solution and ultimately they evaluate who they will buy from. To address that, she created Facebook live videos based on those three stages of awareness and structured those videos over the course of two months. She used those videos to warm up her audience. She believes that anyone earning less than six figures should begin with a more lean approach to selling and should return to business basics. Advanced funnels work, but if you don’t have a solid enough offer, it will be tough for you to land those deals. The lean launch is a really solid foundation for any service-based business. She now helps customers package their programs and services and she walks them through the entire four-step process to package their offer, price it, position it, and then profit from it. If you’d like to connect with Jereshia and hear more about her signature service, check out her live 90-minute crash course which breaks down her methodology and strategy. Learn more about Jereshia at her website, jereshiahawk.com, or connect with her on Instagram, LinkedIn, or other social media platforms.